Premier John Horgan offered his congratulations today to Janet Austin, OBC, on being sworn in as British Columbia’s 30th lieutenant governor. At an installation ceremony at the Parliament Bulidings, Austin took the Oath of Allegiance and Oaths of Office, administered by Chief Justice Robert J. Bauman, before members of the legislative assembly, dignitaries, family and friends. One of her first duties as the new Lieutenant Governor was to inspect a 100-person guard of honour at the front of the Parliament Buildings. 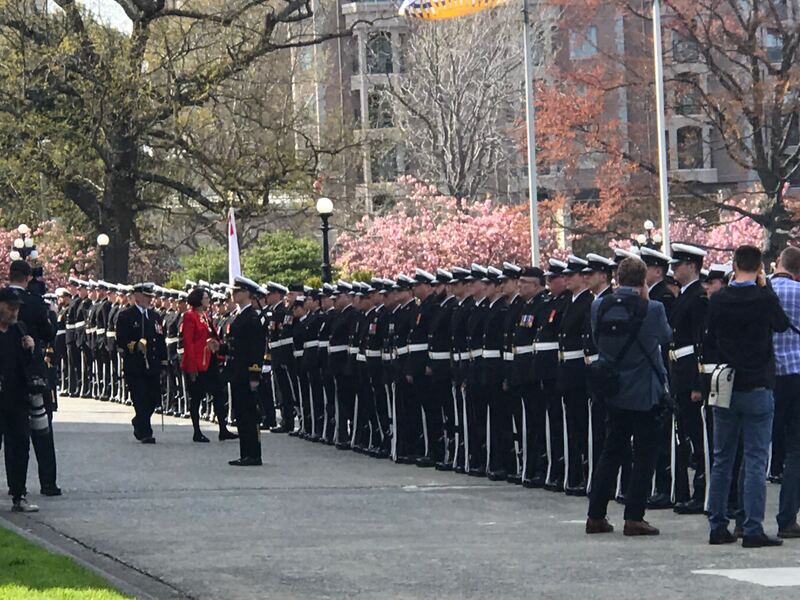 She received a 15-gun salute fired by a troop of the 5th (British Columbia) Field Regiment, Royal Canadian Artillery and the Naden Band of Maritime Forces Pacific played the Vice Regal Salute in tribute to her appointment. The lieutenant governor is appointed by the governor general on the advice of the prime minister and serves a term of at least five years. Austin succeeds Judith Guichon as the Queen’s representative in B.C.